Higher education in the field of geosciences in Romania can be traced back to the early years of the University of Iași. In 1863, Professor Grigore Cobălcescu was appointed head of the Department of Natural Sciences at the Faculty of Sciences. This was the beginning of Geological studies, later to be followed by Geography. The Faculty offers its students quality training and a complex worldview, based primarily on knowledge of Earth sciences. The curricula also cover practical applications: the students of Geography and Environmental sciences depar-tment have access to the Faculty’s three practical training resorts, located in the Rarău Mountain, in the village of Tulnici in the Vrancea Subcarpathians, and in the village of Mădârjac, on the Moldavian Plateau, respectively. The Faculty’s research facilities are adequately equipped and competitive according to national and international standards. 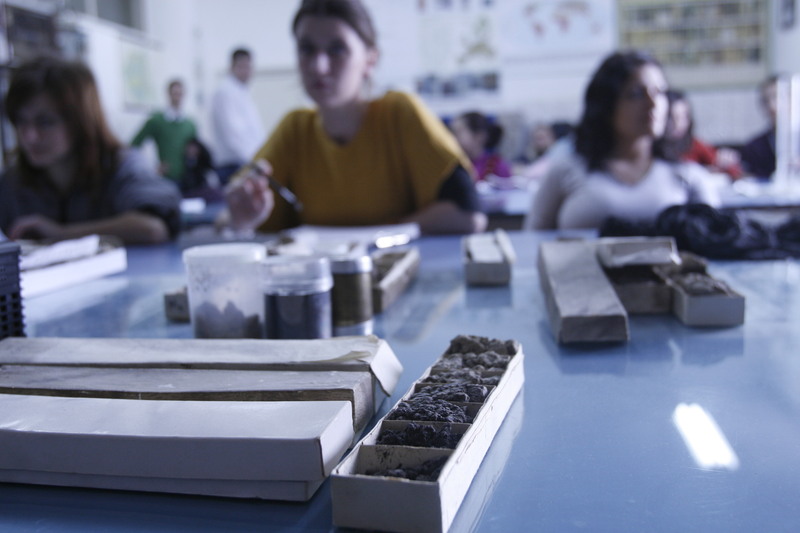 Students benefit not only from modern laboratories for remote sensing and image interpretation, land surveying and mapping, climatology and meteorology, geoinformatics, light microscopy, atomic absorbtion spectrophotometry, the analysis of organic matter and geochemistry, but also from scientific collections of mineralogy, petrology, paleontology. Lately, two new laboratories belonging to the Geography Department have been created, as part of University’s research facilities: the laboratories of geoarchaeology and enviromatics, respectively. The equipment includes technical analysis systems and state-of-the-art devices, such as a particle size analyzer, a bathymetry echosounder, soil moisture sensors, an inductively coupled plasma mass spectrometer, etc. Two other laboratories within the Department of Geology are functional: one for X-ray fluorescence spec-trometry (XRF) and another for vibrational spectroscopy (Raman and IR). Beside theoretical courses, the curricula also include practical training, so that the students can apply for internships in Romanian and foreign companies in the field of tourism, geological engineering, etc.. Furthermore, the students are provided with complex practical experience, consisting not only of com-pulsory training, but also of three-month internships in countries from the European Economic Area. Around 20% of students have access to such European mobilities. Graduating from the Faculty of Geography and Geology opens up new horizons and offers multiple career prospects in secondary and higher education, tourism, territorial planning, urban planning, meteorology, hidrology, soil analysis and monitoring, water and air quality assessment, natural and anthropogenic risk management, petroleum geology, technical and experimental mineralogy, precious stones valuation, or in research institutes etc.